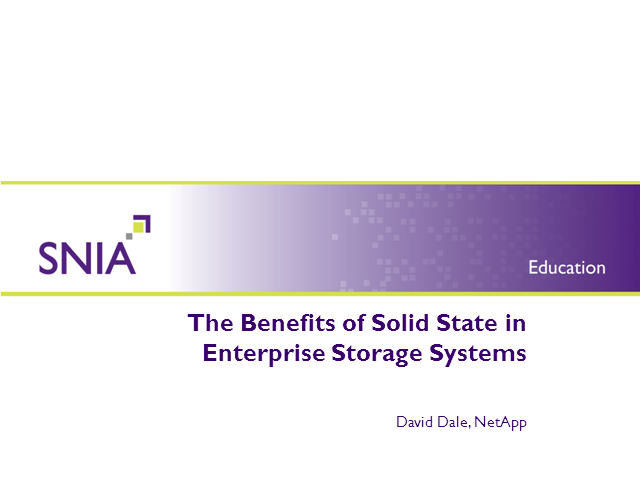 This session presents a brief overview of the solid state technologies which are being integrated into enterprise storage systems today, including technologies, benefits, and price/performance. It describes where they fit into today’s typical enterprise storage architectures today, with descriptions of specific use cases. Finally, the session speculates briefly on what the future will bring.